Eric Emerson Schmidt is a software engineer, businessman, and the Executive Chairman of Alphabet, Inc. Prior to the establishment of Alphabet, Eric was the chairman of Google Inc. for four years. From 2001-2011, Eric served as Google’s chief executive officer, overseeing the company’s technical and business strategy alongside founders Sergey Brin and Larry Page. Under his leadership, Google dramatically scaled its infrastructure and diversified its product offerings while maintaining a strong culture of innovation, growing from a Silicon Valley startup to a global leader in technology. Prior to joining Google, Schmidt worked as an intern at Bell Labs, where he did a complete re-write of Lex, a software program to generate lexical analyzers for the UNIX computer operating system. From 1997 to 2001, he was Chief Executive Officer (CEO) of Novell. Eric was previously a director of Apple Inc., a designer, manufacturer, and marketer of personal computers and related products, from 2006 to 2009. From 1983 until March 1997, Eric held various positions at Sun Microsystems, Inc., a supplier of network computing solutions, including Chief Technology Officer from February 1994 to March 1997, and President of Sun Technology Enterprises from February 1991 until February 1994. Eric was a member of the President’s Council of Advisors on Science. He was elected to the National Academy of Engineering in 2006 and inducted into the American Academy of Arts and Sciences as a fellow in 2007. Since 2008, he has been a trustee of the Institute for Advanced Study in Princeton, New Jersey. Since 2012, Eric has been on the board of the Broad Institute and the Mayo Clinic. In 2013, Eric and Jared Cohen co-authored The New York Times bestselling book, The New Digital Age: Transforming Nations, Businesses, and Our Lives. In September 2014, Eric published his second New York Times bestseller, How Google Works, which he and Jonathan Rosenberg co-authored with Alan Eagle. Eric became the Chairman of the Department of Defense’s Innovation Board in 2016 and was awarded the Department of Defense Medal for Distinguished Public Service in January of 2017 by Secretary of Defense Ashton Carter. Eric holds a Doctoral degree and a Master of Science degree in computer science from the University of California, Berkeley, and a Bachelor of Science degree in electrical engineering from Princeton University. He has served on various boards in academia and industry, including the Boards of Trustees for Carnegie Mellon University, Pennsylvania, and Princeton University. In 2017, Forbes ranked Schmidt as the 119th-richest person in the world, with an estimated wealth of US$11.1 billion. 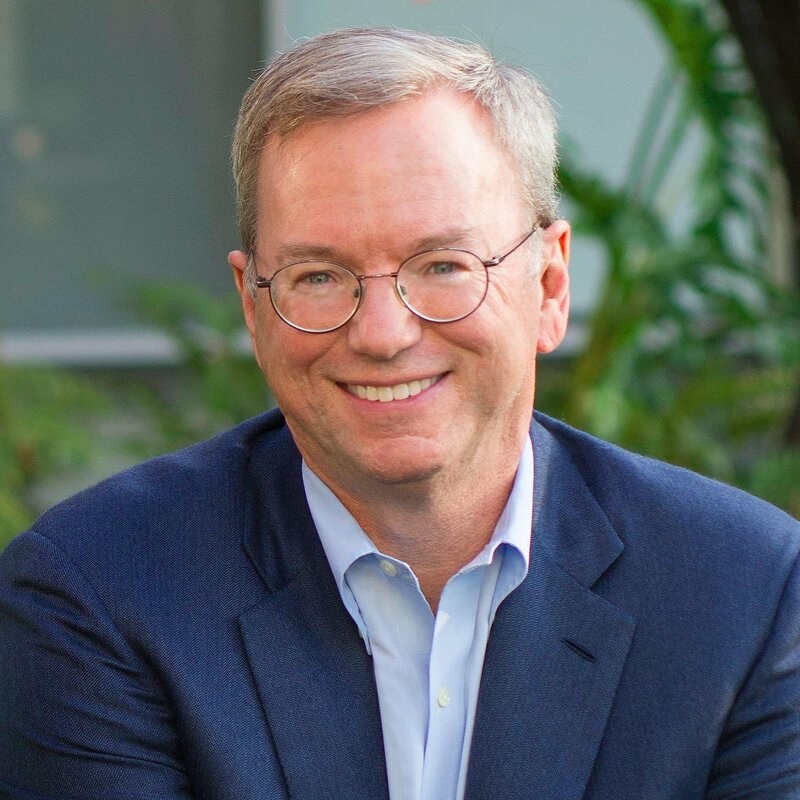 For availability and speaker fees, please contact Eric Schmidt ’s speaking agent at Chartwell here, or call +1 972 385 1021 for U.S. inquiries or +44 207 293 0864 for international inquiries.